A T-Mobile merger with Sprint is a deal that has been rumored even before T-Mobile transformed into the most innovative and fastest growing of the four major U.S. carriers. After T-Mobile leapfrogged over Sprint to become the nation's third largest carrier, talk of such a deal continued, not even skipping a beat. Even recently, there was word that both carriers were exploring a merger. T-Mobile is said to be intrigued with the high-band 2.5GHz spectrum owned by Sprint, and how it could be used with T-Mobile's 600MHz-700Mhz low frequency spectrum for 5G service. Even though T-Mobile and Sprint have been discussing a merger, the actual decision to put the two wireless operators together belongs to SoftBank and Deutsche Telekom. The latter owns 64% of T-Mobile while the former purchased 78% of Sprint back in 2013. And today, German news service Handelsblatt reported that Deutsche Telekom is working out the details of a deal. According to this report, the transaction will be an all-stock deal. 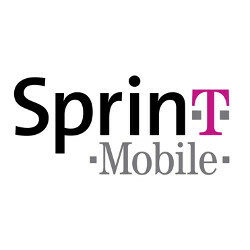 The big question on everyone's mind is who will run a merged T-Mobile Sprint. Handelsblatt says that Deutsche Telekom would take over the management of the combined outfit while keeping as much of T-Mobile's current strategy as it possibly can. Executives of both companies could score huge paydays if a deal is finalized, thanks to Golden Parachutes that pay off big sums to the white color workers in case of a deal. Sprint CEO Marcelo Claure could receive $130.87 million worth of cash, stock and benefits. T-Mobile president and CEO John Legere, whom many credit for T-Mobile's turnaround, could end up receiving $58.35 million in Golden Parachute payoffs. The total amount of such payments for both carriers comes out to $358.96 million. Analyst William Ho at 556 Ventures says that he expects T-Mobile executives to monopolize the executive spots at a combined company. Ho says that Legere could end up with a big retention bonus if he wants to stay with the company post merger. "In the investment community, he’s the golden boy. He’s in a great spot," said Ho of Legere. Any deal will still have to be approved by the FCC and the FTC. Back in 2014, both agencies put the kibosh on T-Mobile-Sprint talks by threatening to reject a deal. But that was then, and things have since changed. A merged T-Mobile-Sprint could present a challenge to Verizon and AT&T which is something that regulatory officials would love to see. There's nothing in the world that will those two actually compete with Verizon, it like combining crap with vomit. All BAD!! There's nothing in the world that will stop Verizon's nutsack from slapping against your chin. Trump will make sure this happens definitely. Sprint would have better coverage. T mobile would have better coverage. That should be a win win for both party's. Might improve Sprints 4G speed, and help T mobiles coverage outside the city limits. Keeping prices low will mean us customers will benefit, I'm all for that. But there's the catch. Would the merger keep prices low, or cause them to increase? You nailed it. Less competition = higher prices. History has shown this. T-Mobile got to where they are right now by having competitive pricing, working diligently to improve their network, & offering cool incentives to their customer base. Their motivation to continue to do that will dwindle if they suddenly add 55 million more customers. Verizon hands down has the best network nation wide. However Verizon Wireless needs to become more agile and responsive to the market. Even Rome fell. I remember the days of making fun of people who had a t-mobile phone back in 2005. Now they will be the number 2 carrier in the nation should this deal go through. I am only concerned with how they will migrate sprint from a CDMA to GSM carrier. This problem happened when sprint aquired nextel in 2005. It was one of the worst business decisions made in that decade. Only time will tell! From what I understand, network conversions are easier now. But the biggest issue would be present phone.. Many of Sprints phones wont support GSM, so they would have to keep CDMA in place. But any phone like Samsung's or iPhone's have the GSM modems, and would only require a SIM card switch. Does Sprint have VoLTE yet?